Gladiator is a well-balanced melee class. It provides high melee DPS bonuses, and high Block Chance, which is the core defense layer of nearly every Gladiator character. This build also utilizes several unique items, which make up for very high Glacial Hammer DPS - these are Doryani's Catalyst, Hrimburn gloves, and Gang's Momentum. On top of violent AoE explosions that obliterates entire packs of monsters with just your first hit, this build provides excellent defenses and fantastic mobility with Leap Slam skill. This build is based on 100% Cold Damage conversion of your Glacial Hammer and making Cold Damage Ignite enemies on hit. Your DPS is even further increased by Gang's Momentum unique Boots, and with overlapping explosions caused by Glacial Hammer's threshold jewel and Herald of Ice, this build provides amazing clear speed. For the defenses, you rely on high Life pool, high Block Chance and Physical Damage mitigation from decent Armour Rating and Endurance Charges. We recommend to level up this Gladiator as a sword&board type of character and switch to dual-wielding whenever you feel comfortable (was at about level 65 for me, when I have started dual-wielding Cameria's Avarice). Glacial Hammer is still one of the best skills to use during leveling, which makes it easier to get all the necessary Gems for the late game. Below you will find all the required and recommended gear for this build. While a number of specific uniques is required, most of them are easy to obtain and they are all rather cheap. We recommend switching from Shield when you obtain all the unique items that amplify your Damage against Ignited enemies. 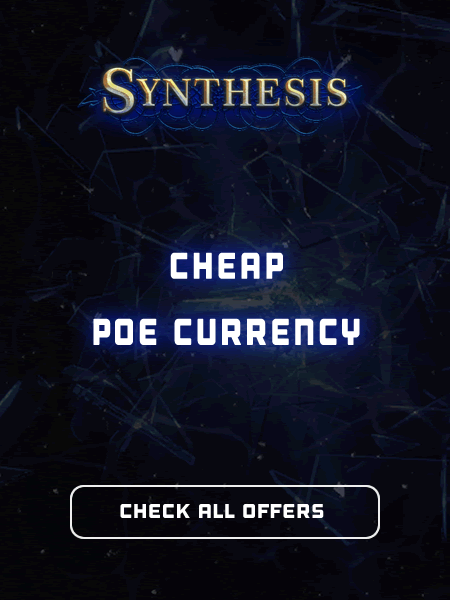 If you are looking for cheap PoE Currency, Unique Items or Power Leveling, you should visit our PoE Market. All offers there are posted by regular Path of Exile players.